The Endicott Fire Department proudly provides the following services to the residents & guests of our village. 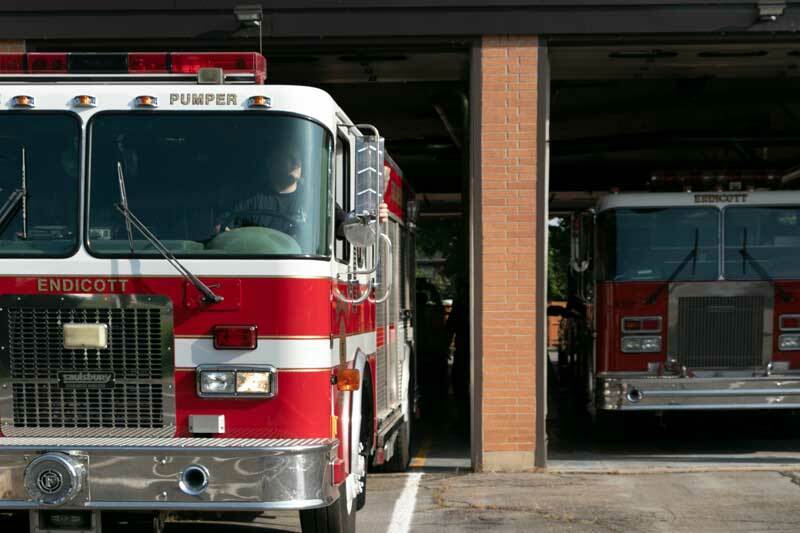 Fire suppression is the backbone of every Fire Department. 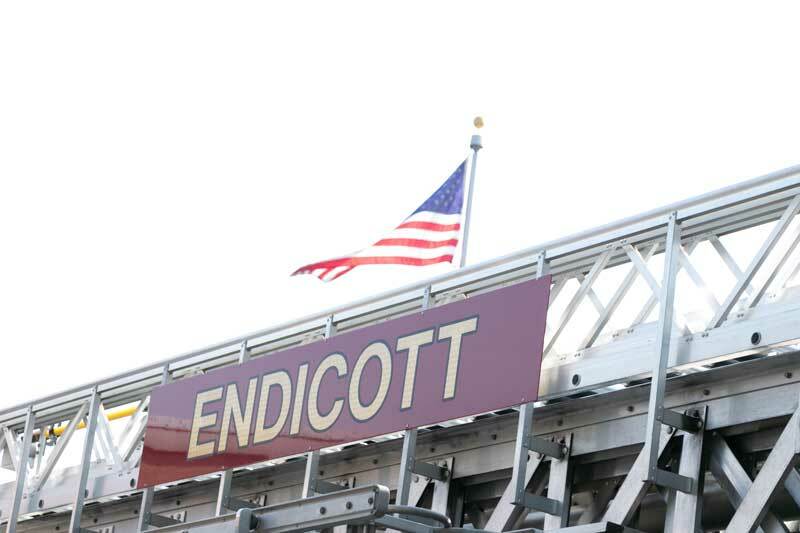 The Village of Endicott maintains a professionally staffed firehouse 24 hours a day / 7 days a week to ensure Village residents a lightning quick response to their emergencies and laser precision in the control and extinguishment of every type of blaze. Though our generous taxpayer support we are able to utilize modern equipment to manage an emergency and minimize injuries and property loss. In the event of a personal injury accident, every minute counts with respect to an accident victim’s survival. To ensure every patient arrives at the hospital within "The Golden Hour", Endicott Firefighters receive extensive training on a yearly basis in the art of vehicle extrication. Endicott Firefighters teach hundreds of children yearly about fire safety and hold regular fire prevention classes for other groups and organizations throughout the Village. Endicott Firefighters are available for Fire Prevention/Safety classes for your school, civic group, workplace, church or other organization. Endicott Firefighters will be glad to answer any questions you may have on smoke detectors, wood burning stoves, exit drills in the home, and home fire prevention. We offer voluntary home fire safety inspections. Free blood pressure screenings at Village Fire stations. American Red Cross Blood Drives. Fire prevention classes, displays, and exhibits at the Central Fire Station. CPR classes for Village residents, civic groups, and the workplace. You can schedule your group for a fire safety class by calling the Endicott Fire Department. Endicott Firefighters are the first line of defense during any hazardous materials incident. Through the use of specialized training and pre-planning your Firefighters are prepared to meet the fundamental challenges that an industrial community demands, Thus; minimizing the likelihood of ecological disaster. In the event of a flood, Tornado, building collapse or any other emergency in the Village of Endicott, you can be sure of a fast response and professional friendly service from our staff of Firefighters. Whatever your emergency consists of you can be assured that Endicott Firefighters will be there to serve and protect the residents of the Village of Endicott when you need us. Endicott Firefighters also support charities such as Muscular Dystrophy, the United Way, the Endicott Boys/Girls Club, and the Chow Program through many different initiatives each year.